New shampoo and conditioner makes me happy, I have a ridiculous amount laying around as I never quite finish them all but I continue to buy even more as I'm always on the hunt for that perfect set. I'd never used Vichy up until recently and I've been quite impressed. 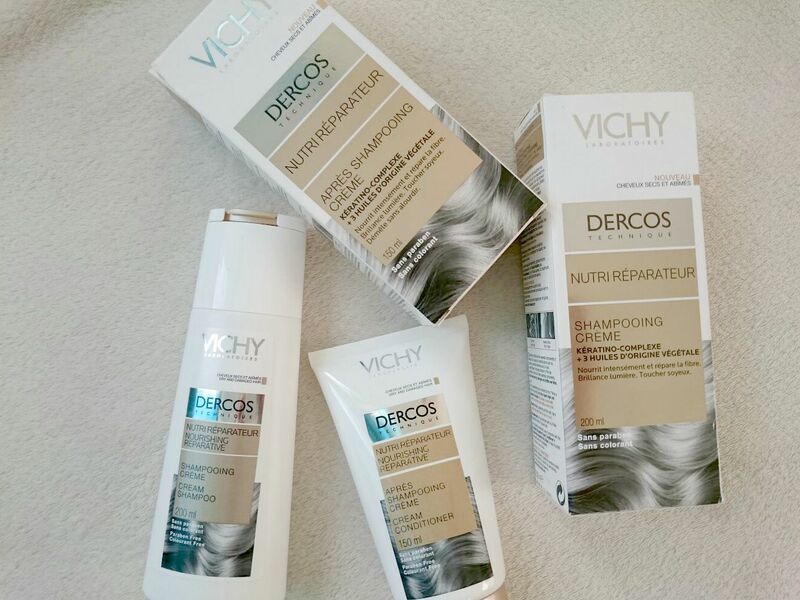 The Vichy Dercos hair range has had so much research go into it to help find the best ingredients for hair growth, a healthy looking scalp and visible results. 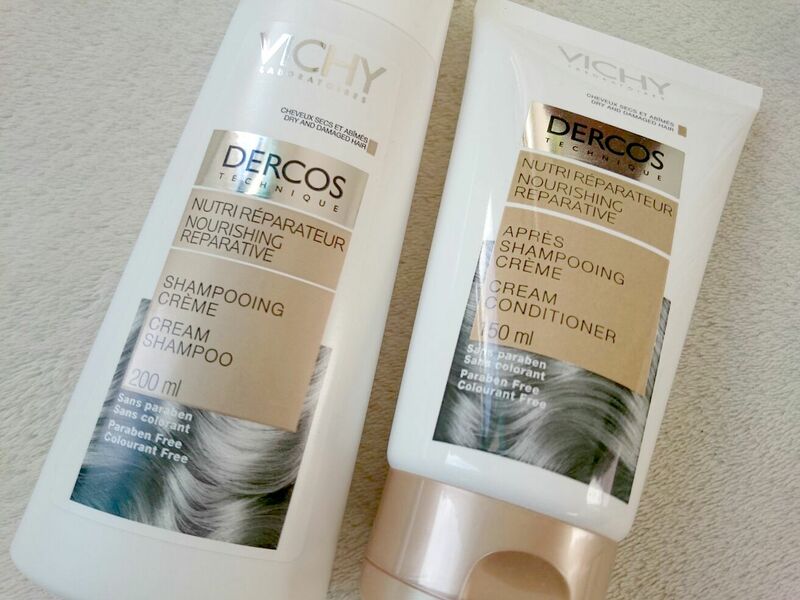 I've been using the Vichy Dercos Nourishing Reparative shampoo and conditioner set for a few weeks now and I'm really pleased with the results. I stopped using my hairdryer a couple of years back and will now only use it if I really need to but I still use straighteners so my hair needs some looking after every now and the nourishing range is perfect for that. Both have a UV protectant and are paraben and colourant free. The packaging is white, sleek and comes in tubes with makes it really easy to squeeze when your hands are wet in the shower. The shampoo and conditioner are both rich, creamy and lather up really well, you can almost feel it doing your hair a world of good. The only thing I wasn't so keen on was the smell, I couldn't put my finger on it. They weren't floral, fruity or mildly fragranced but whatever it was, I didn't like it. I put up with the smell as it wasn't too awful and I wanted results. I'm so glad I did because my hair felt so much more manageable, shiny and well nourished after four weeks of using it! It makes a nice change for a product to do exactly what it says on the tube. You can purchase Vichy on Boots or Escentual and if you want to read more about Vichy products there is lots of information on the Vichy website which I have linked above. 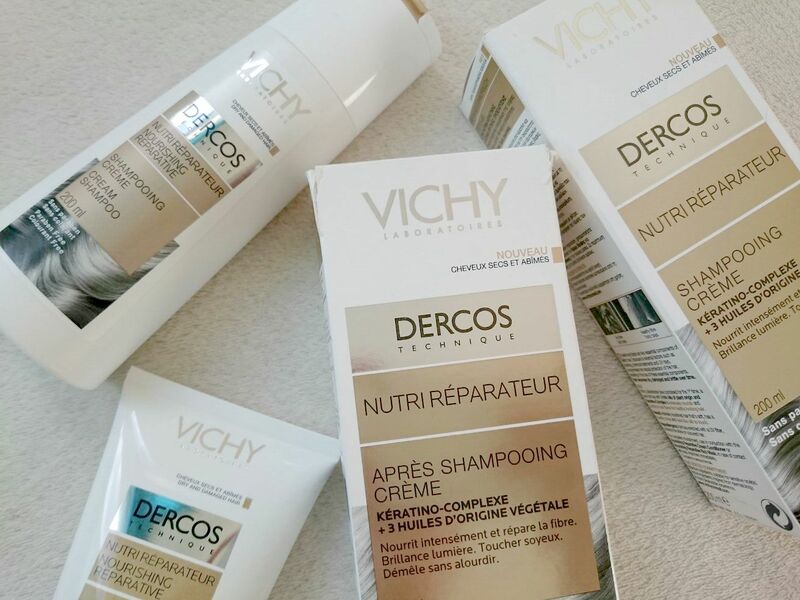 when I used to live in France i very often used to get Vicky products ! and then by moving in London I kind of forget about it (not sure why?) ...but seeing your blog makes me want to try the again!! !